Mailbox Remedies completes this Salsbury Mailbox installation in Naperville, Illinois. 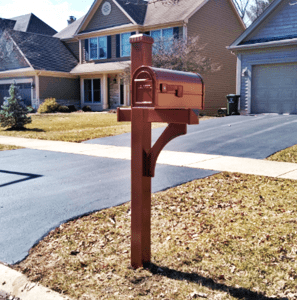 The mailbox post design shown is the Salsbury Deluxe Mailbox Post – 1 Sided – In-ground Mounted – Copper Color Option. The mailbox shown is the Salsbury Antique Rural Mailbox in Copper. 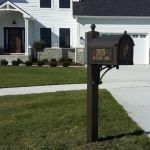 All in price including a professional mailbox installation is $396.00.